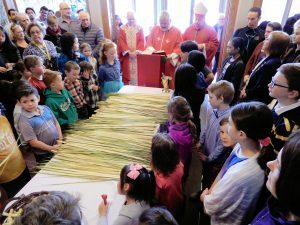 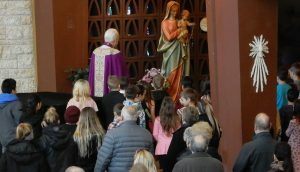 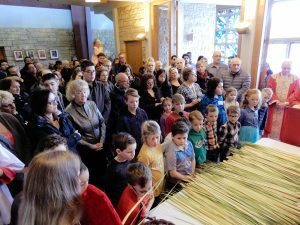 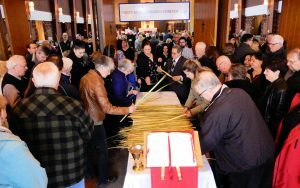 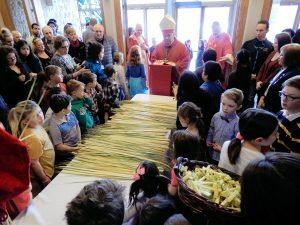 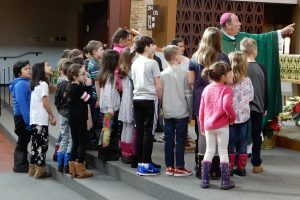 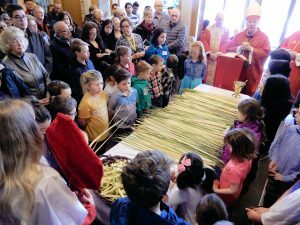 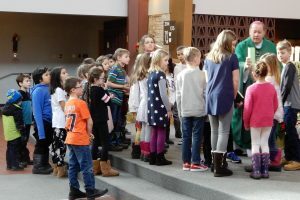 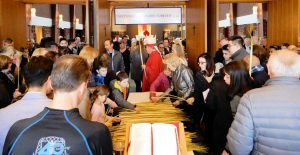 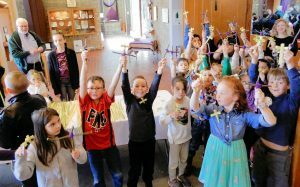 Joyful celebrations of Palm Sunday were attended by hundreds of our Cathedral children and parishioners and by visiting parishioners from the other City and Diocesan Parishes. 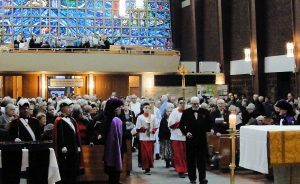 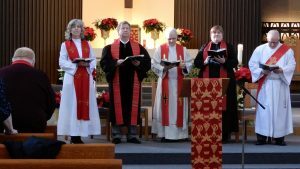 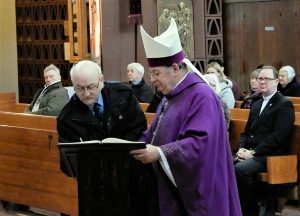 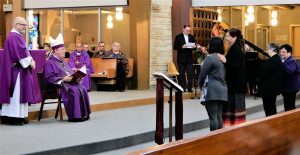 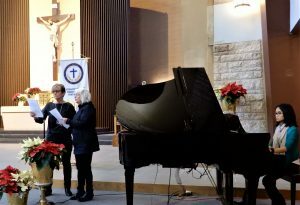 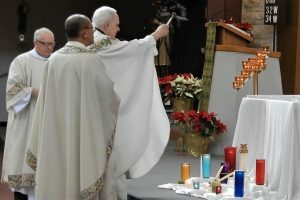 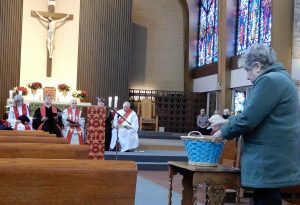 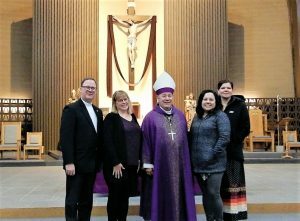 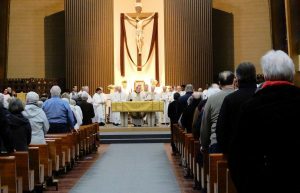 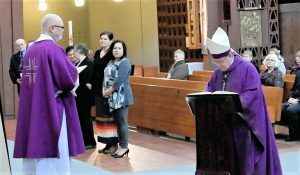 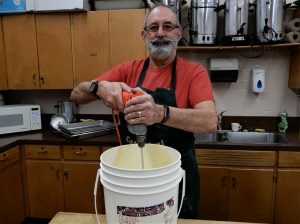 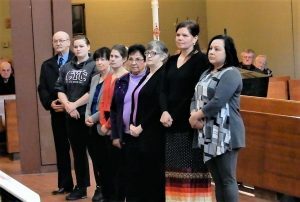 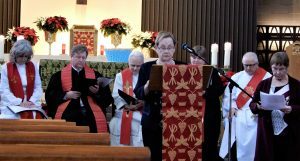 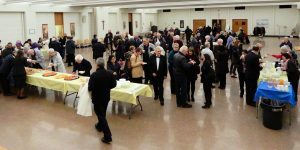 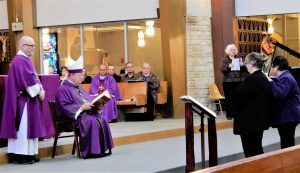 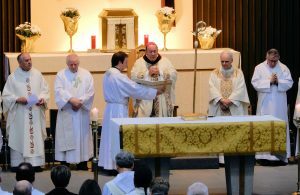 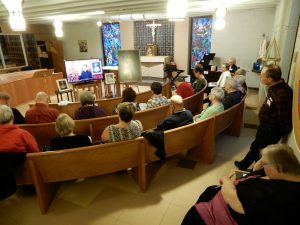 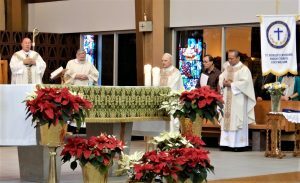 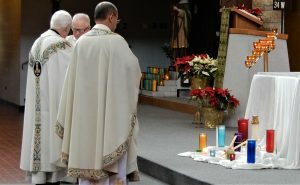 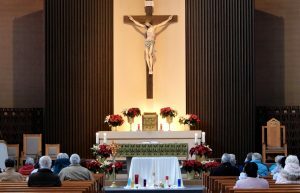 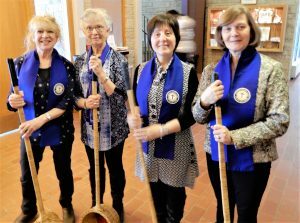 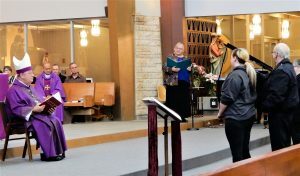 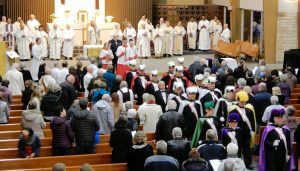 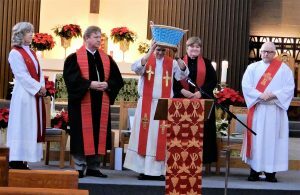 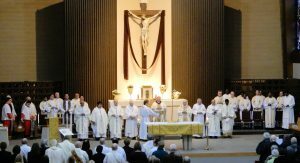 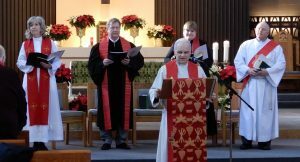 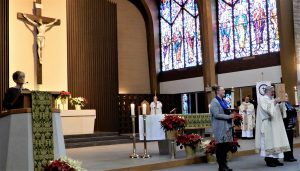 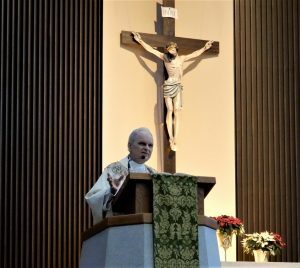 This year’s annual Mass of Sacred Chrism was one of the most well attended with clergy and laity from across the Diocese joining Bishop Colli and participating and celebrating the Catholic Faith in Northwestern Ontario. 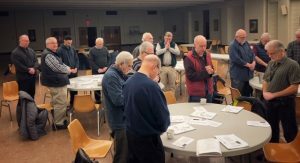 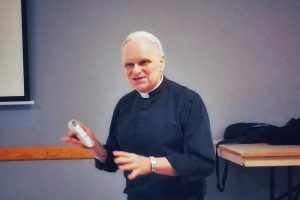 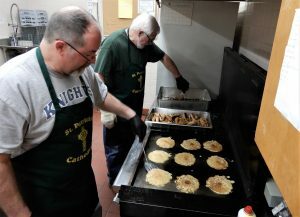 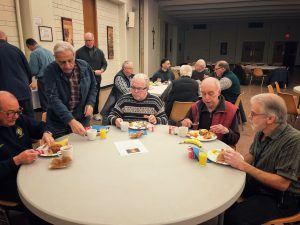 The men who gathered for the April monthly Men’s Breakfast Group were presented with a media presentation by Msgr. 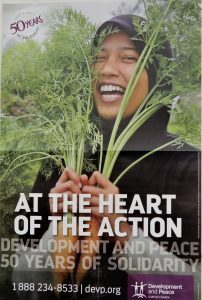 Stilla, entitled, “Challenges are Opportunities and not Problems”. 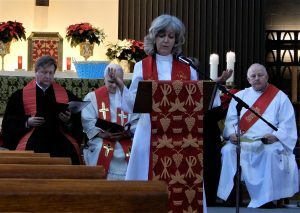 Many thanks to Doug McClure, Deacon Dennis McDermott and Vijo Chittilapilly for the photos of the event. 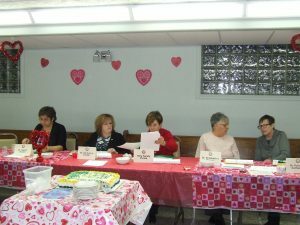 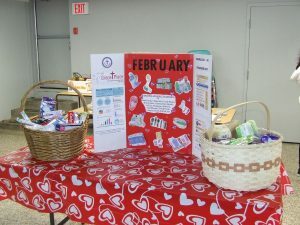 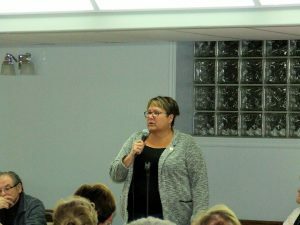 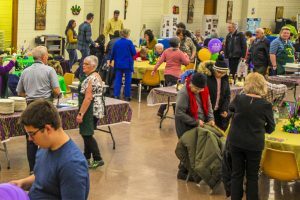 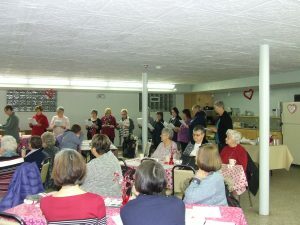 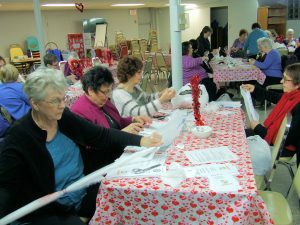 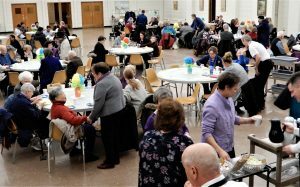 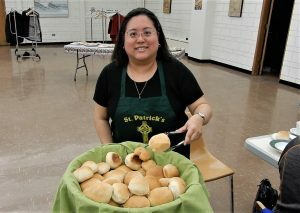 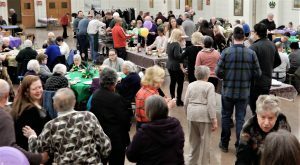 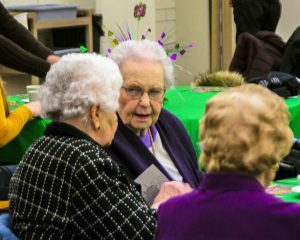 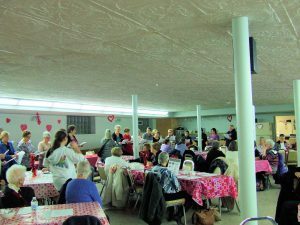 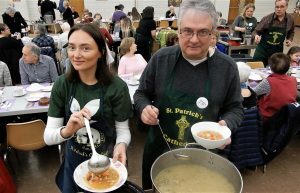 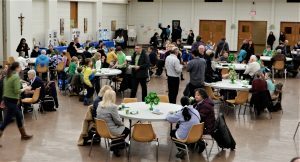 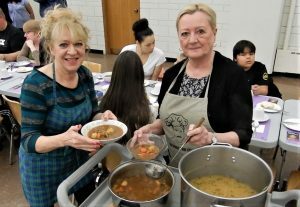 The Soup and Bun event was happily attended by over a hundred people. 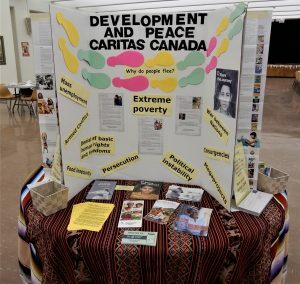 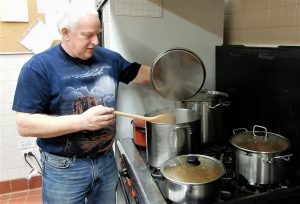 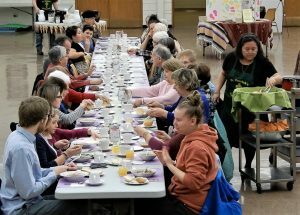 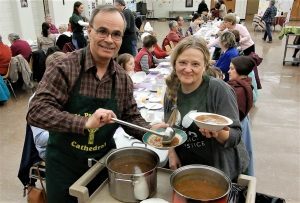 To all who made soup and baked cookies; to the person who made 10 dozen homemade buns; to everyone who helped set-up for the event; who served the soup; who stayed behind to clean up; and especially to everyone who attended the luncheon in solidarity with our poorer brothers and sisters in the Global South, our heartfelt thanks to each one of you. 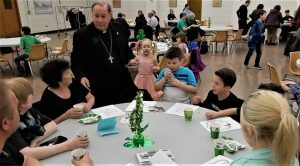 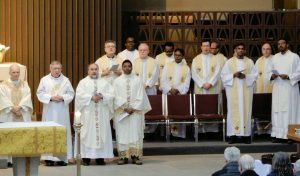 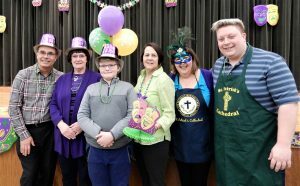 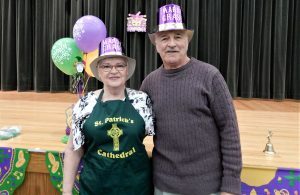 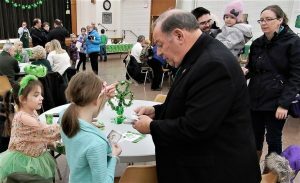 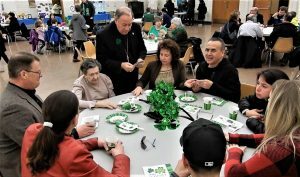 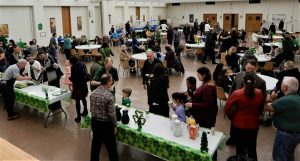 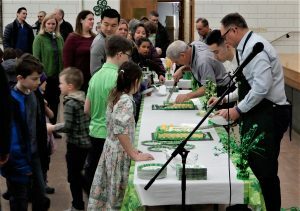 Our Parish celebrated its Patron, Saint Patrick and the Patron of Canada, Saint Joseph with Masses celebrated by Bishop Colli. 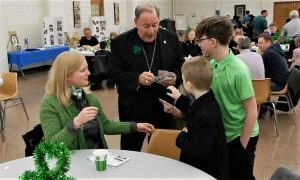 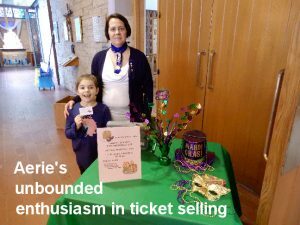 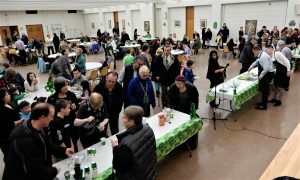 A reception in the Auditorium followed the Sunday 10:30 am Mass where the children received souvenir gifts and colouring books which recounted the life of St. Patrick. 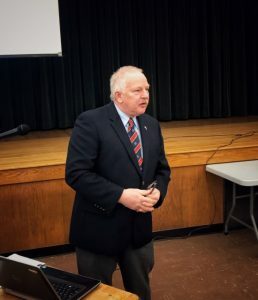 Our R.C.I.A. 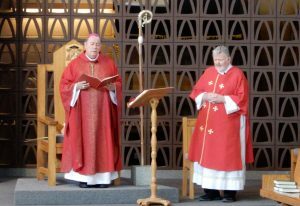 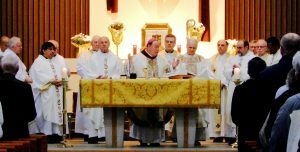 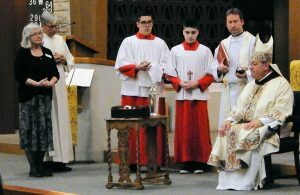 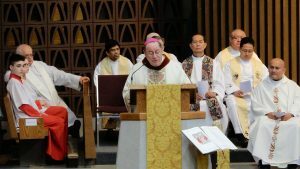 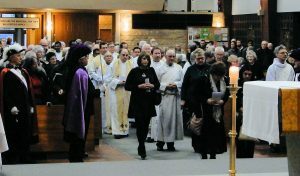 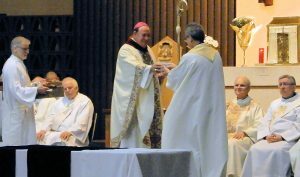 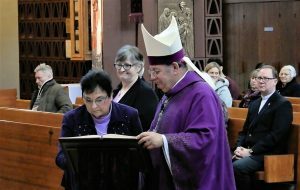 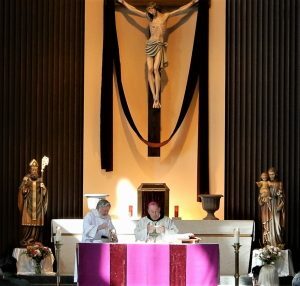 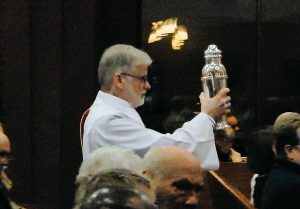 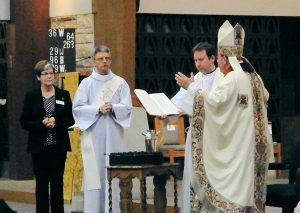 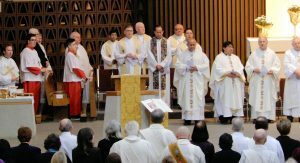 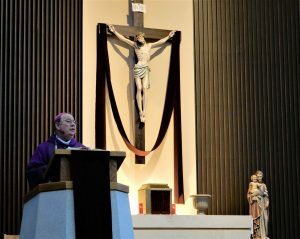 ‘Rite of Election’ was celebrated by Bishop Colli last Saturday, March 9 at the 5:00 pm Mass. 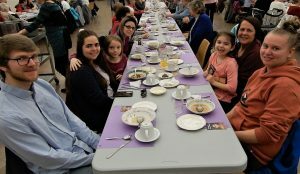 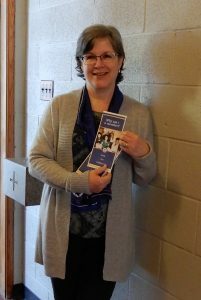 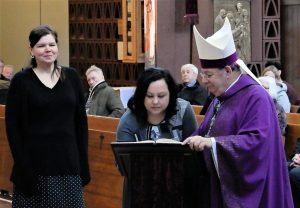 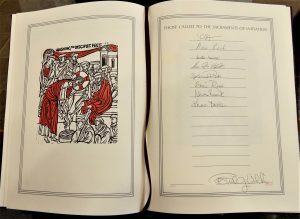 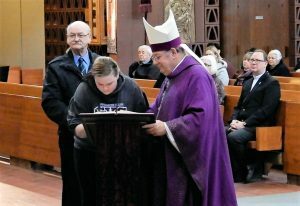 Catechumens from St. Agnes, St. Elizabeth and our Cathedral Parish signed their names with their sponsors in the ‘Book of the Elect’ and one Candidate from St. Agnes Parish was called to Lenten renewal. 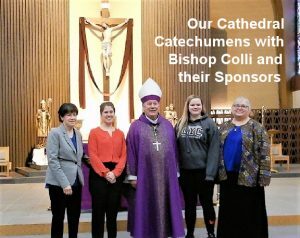 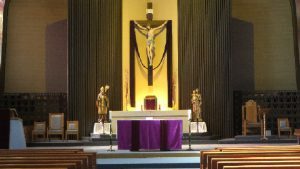 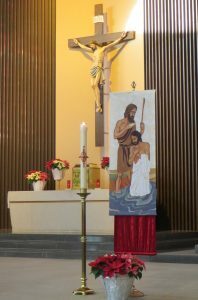 The Catechumens will be baptized, confirmed and receive First Eucharist at the Easter Vigil this year in their respective Parishes. 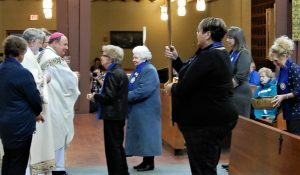 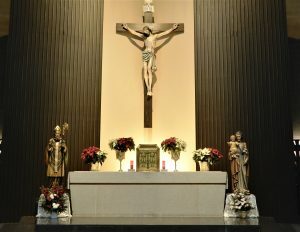 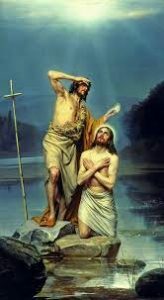 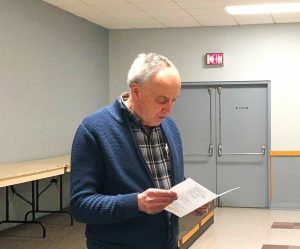 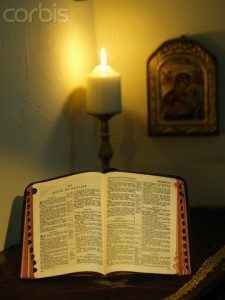 The Candidate will be received into full Communion with the Catholic Church, be confirmed and receive First Eucharist at the Easter Vigil Mass. 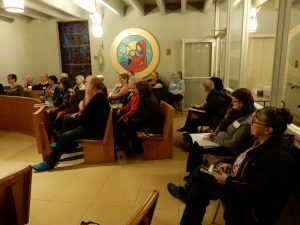 40 people registered and began this small group Retreat in Our Lady’s Chapel last Monday evening. 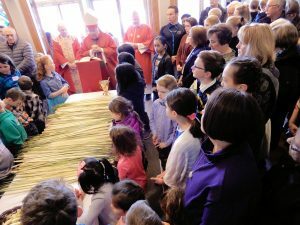 More are likely to join before it ends. 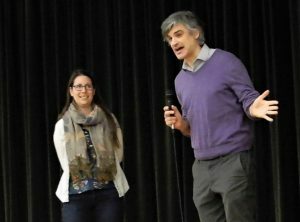 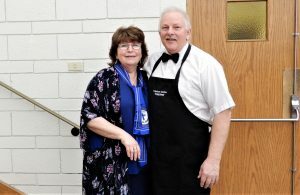 Thanks to Doug and Lesley McClure for initiating and organizing the event. 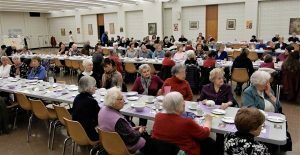 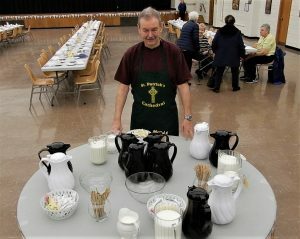 This year, our Shrove Sunday breakfast surpassed our expectations. 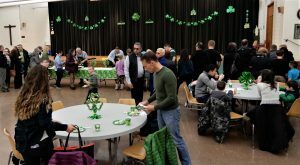 Over 150 were in attendance. 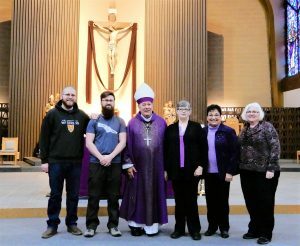 Thanks to all who made it possible! 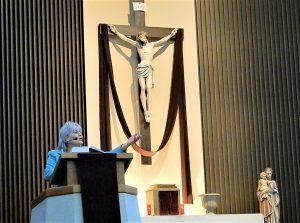 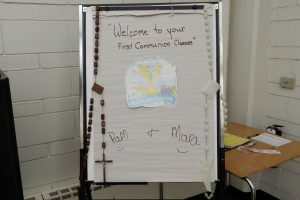 Over 20 children who will be making their First Communion here on May 5 began their classes on the Eucharist in the Cathedral Auditorium. 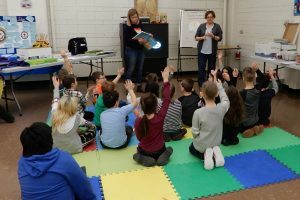 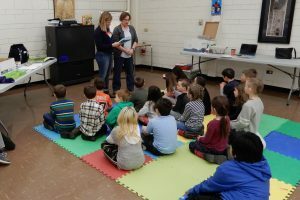 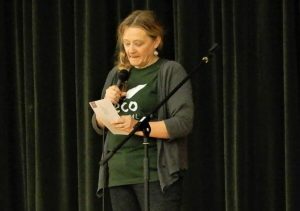 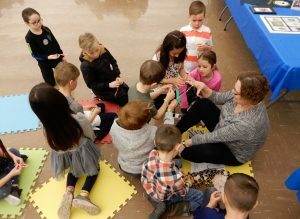 We thank their teachers, Pam Brusadin and Mara Hockenhull for organizing and teaching the children. 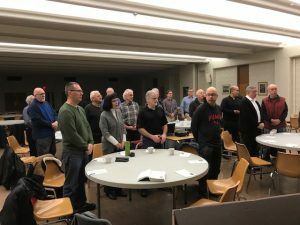 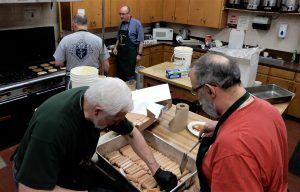 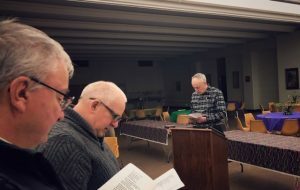 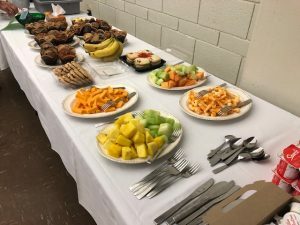 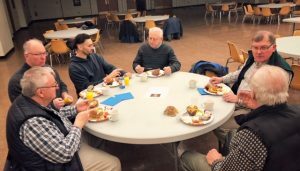 Our March monthly Men’s Breakfast was another successful endeavour. 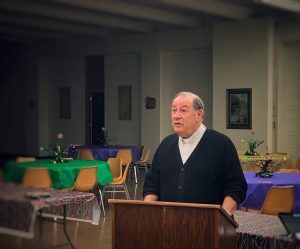 Our speaker, Bishop Colli spoke sensitively and forthrightly about the sexual abuse crisis in the Church. 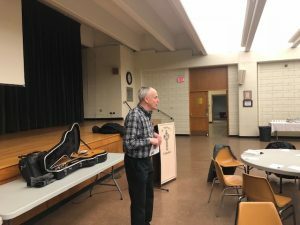 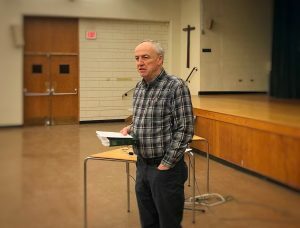 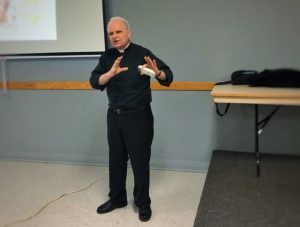 He gave a better appreciation of the complexity of the issue and the concrete policies and protocols the Church has in place for concretely addressing the problem. 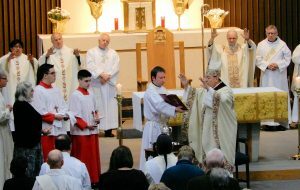 The men stood and raised their hands toward our Bishop as Fr. 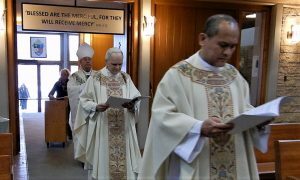 Marco and Deacon Dennis lead us in a prayer of blessing over Bishop Colli. 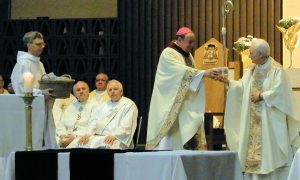 We also presented him with a card of gratitude for his 24 years of episcopal ministry. 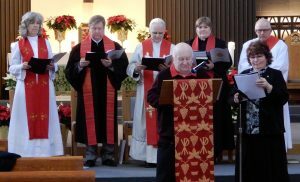 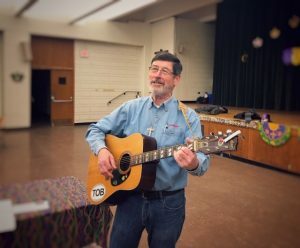 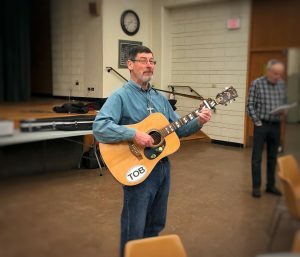 Deacon Dennis then led us in singing Bishop Colli’s favourite hymn “Holy is His Name”, the words which he chose for his motto as Bishop. 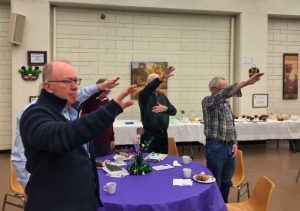 (submitted by Doug McClure). 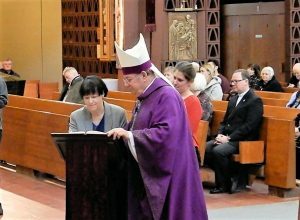 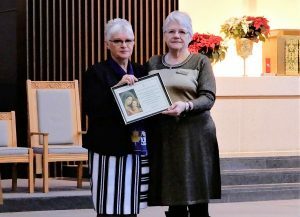 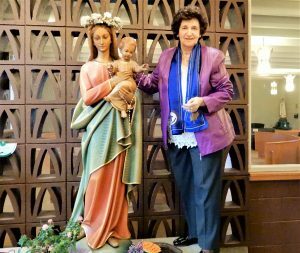 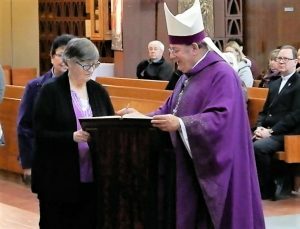 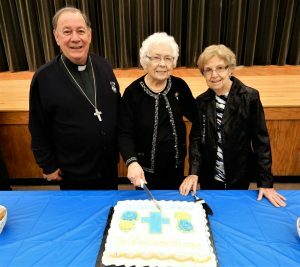 During the Anniversary Mass, Bishop Colli and Mary Wilson, our Diocesan President of the League presented Joan Joubert and our Catholic Women’s Council, tributes and certificates of accomplishments and success in Ministry and Service. 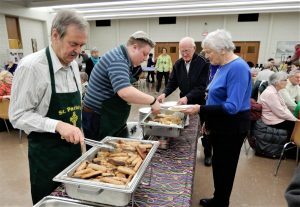 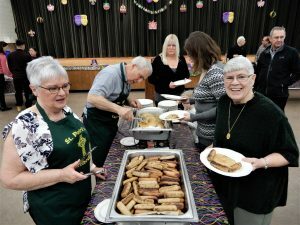 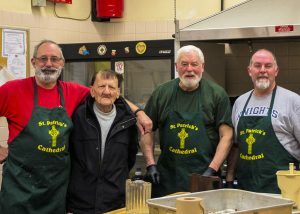 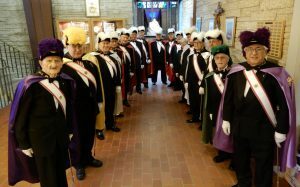 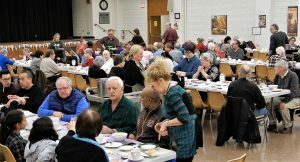 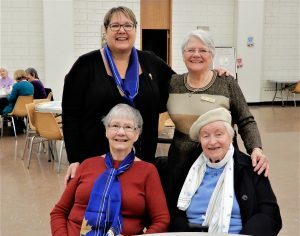 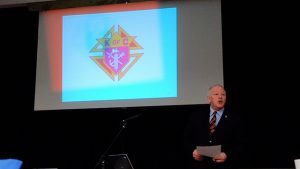 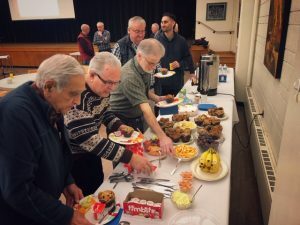 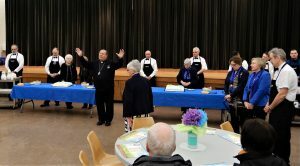 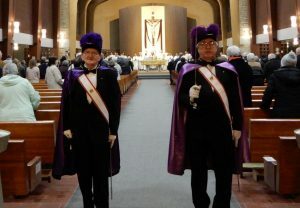 The members of Council 1447 of the Knights of Columbus helped serve the lunch and reception in the Auditorium following the Mass in honour of our Council. 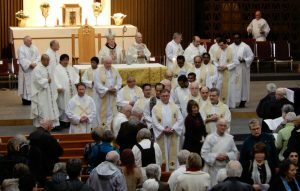 Our Lectors met on Saturday, February 23rd, in the Cathedral Auditorium. 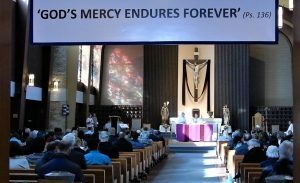 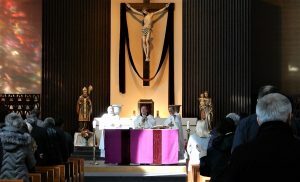 Those who were present at the 5 pm Mass renewed their commitment to their Ministry and together with all our other Cathedral Lectors who were not able to attend this Mass, were mandated once again to continue their Ministry in our Parish. 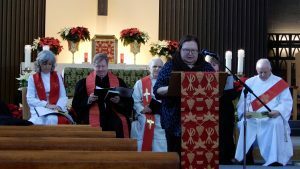 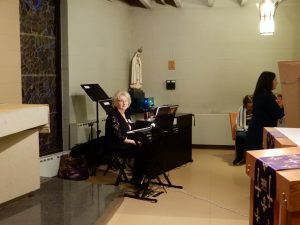 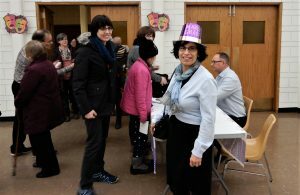 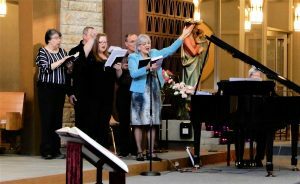 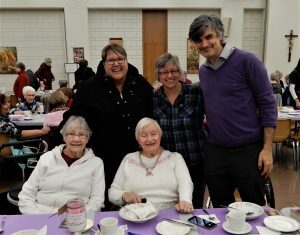 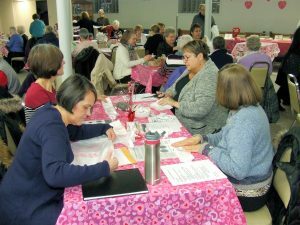 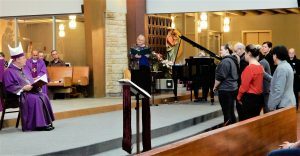 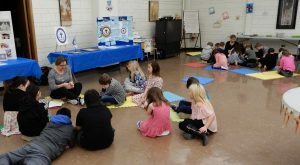 Many thanks to Laura Prodanyk, Director of this Ministry and to Linda West, Diocesan Minister of Service and Deacon Derek West for organizing the event. 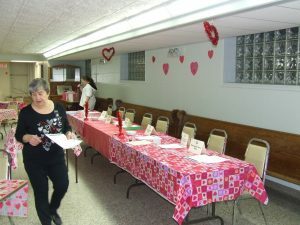 Special thanks as well to those who made presentations at the sessions. 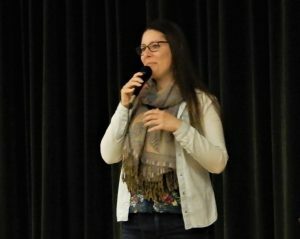 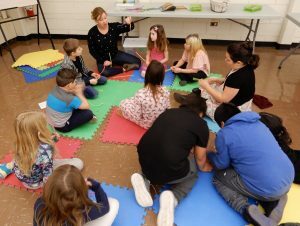 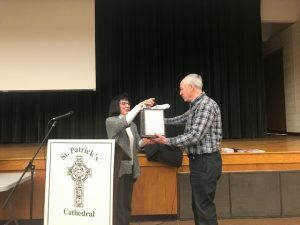 This year’s theme was ‘Homelessness in Thunder Bay’. 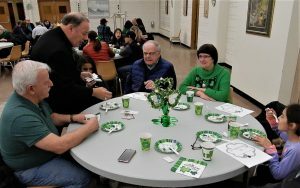 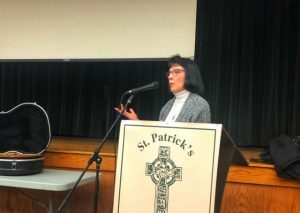 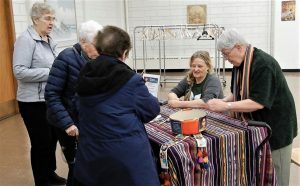 After Mass the participants listened to talks by Colleen Martin who gave us an overview of the situation in our City and Chris and John Wreszczak who told the participants about the sleeping mats made with recycled plastic bags which they make for people on the street. 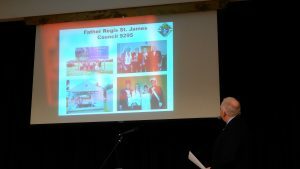 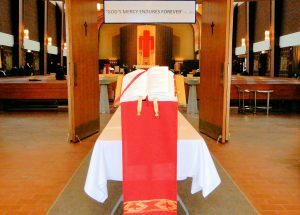 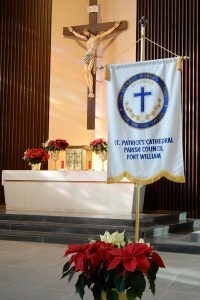 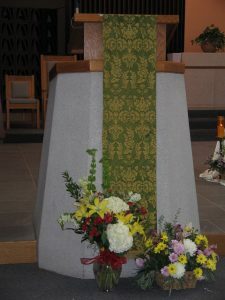 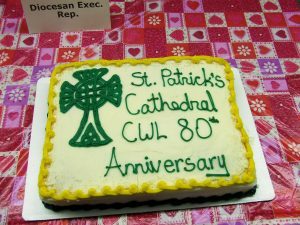 The host Council, St. Peter’s C.W.L., also honoured our Cathedral’s C.W.L. 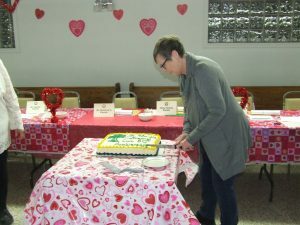 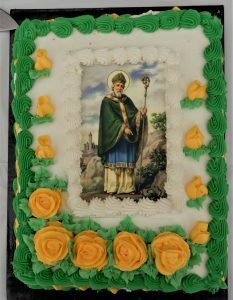 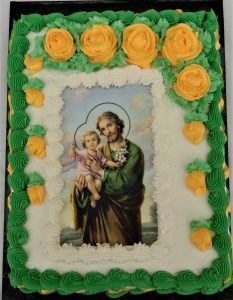 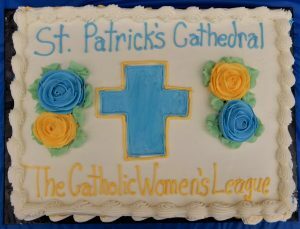 by having the Mass celebrated for our intentions and by presenting everyone with a large cake to mark this year’s St. Pat’s C.W.L. 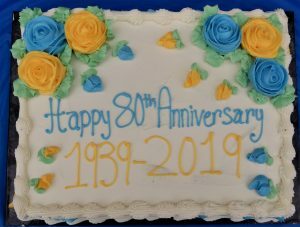 80th Anniversary. 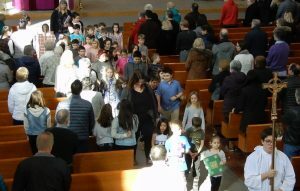 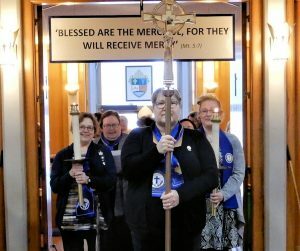 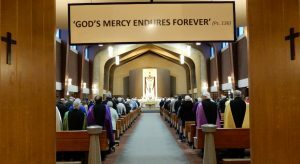 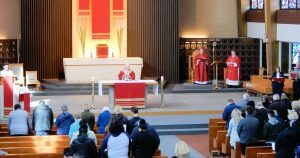 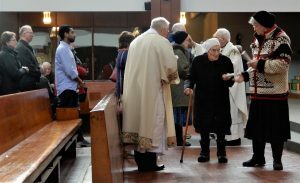 Over 100 participated in our special February 2nd Mass to celebrate this Feast day. 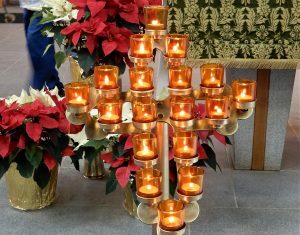 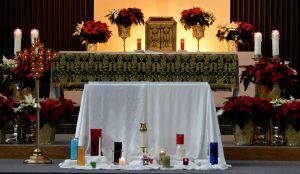 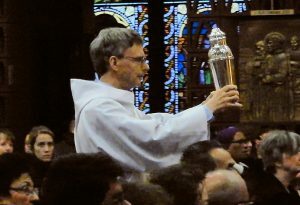 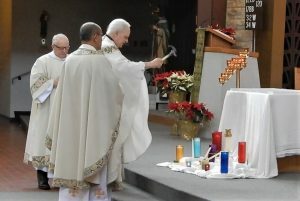 All the candles which will be used in the Cathedral throughout the coming year were blessed at the beginning of the celebration and blessed purification candles were distributed to the faithful after the Anointing of the Sick. 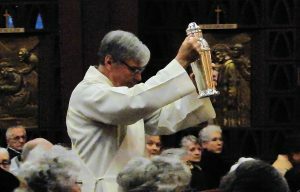 Many thanks to Juliano Brusadin for these photos. 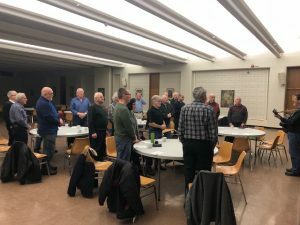 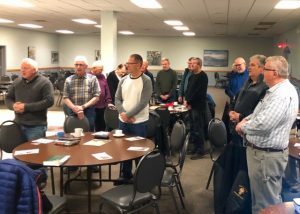 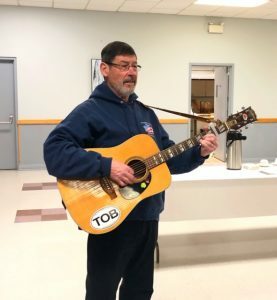 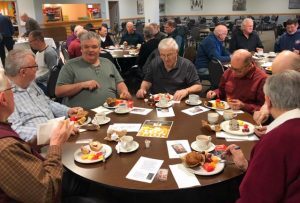 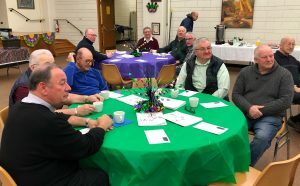 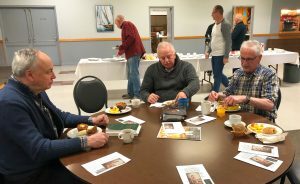 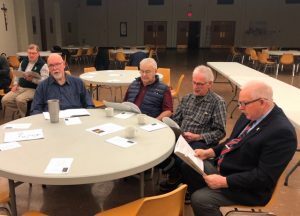 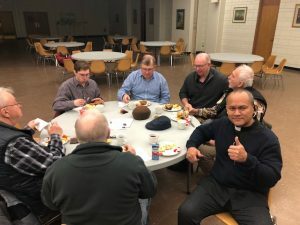 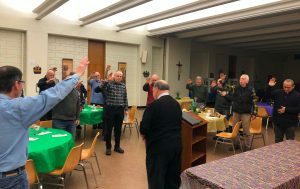 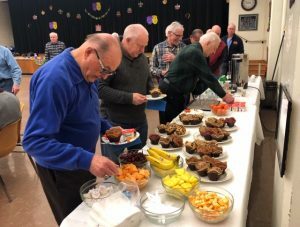 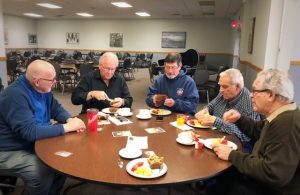 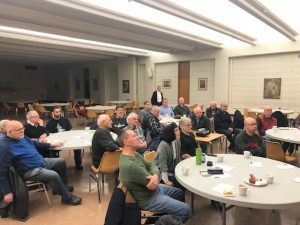 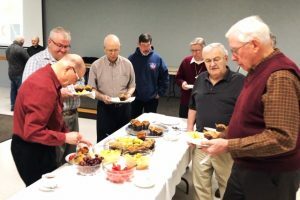 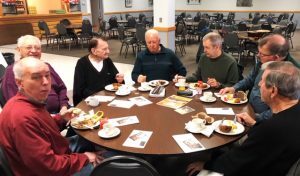 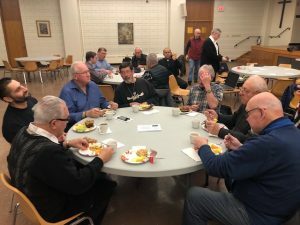 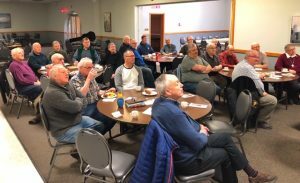 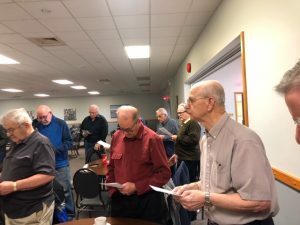 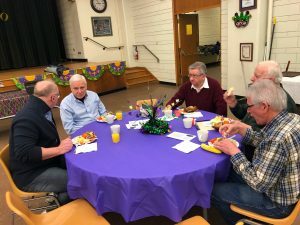 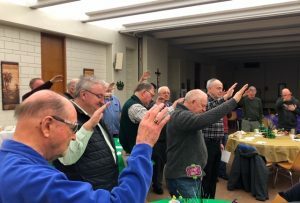 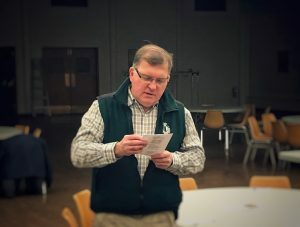 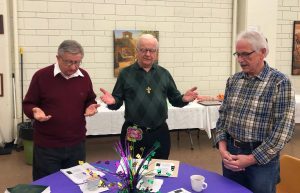 The participants in the February gathering of our monthly Men’s Breakfast Group enjoyed each other’s friendship and listened to Deacon Derek West, Deputy Grand Knight of Fort William Council #1447 of the Knights of Columbus who spoke to the men about the principles of the Knights. 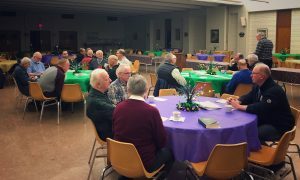 This Group gathers each month on the First Saturday at 8:30 am in the Cathedral Auditorium. 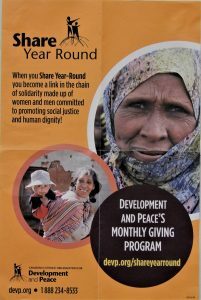 Call Doug McClure for more information (708-4143). 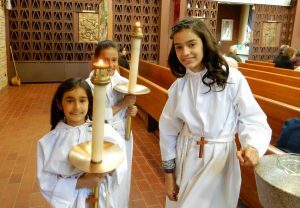 Many thanks to Vijo Chittilappilly for the photos. 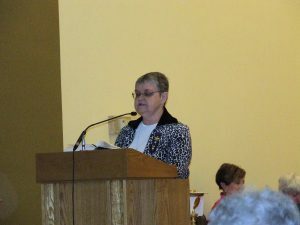 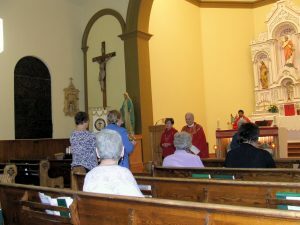 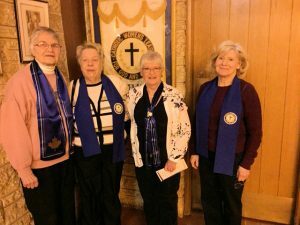 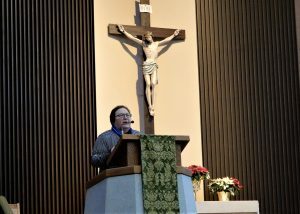 Members of our Cathedral Catholic Women’s League provided Liturgical Ministers at all our weekend Masses. 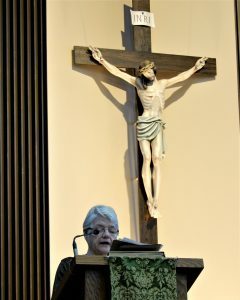 At each Mass, Joan Joubert (Sat. 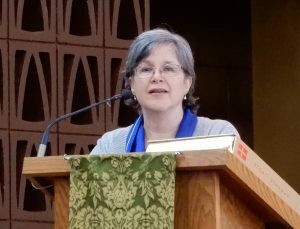 5 pm), Linda West (Sun. 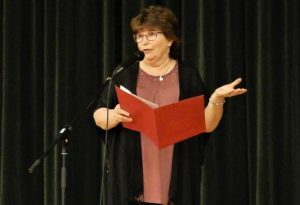 8:30 am) and Lisa Posmituk (Sun. 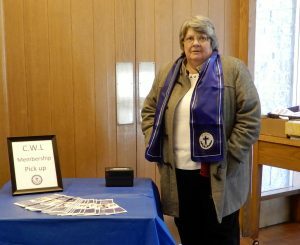 10:30 am) presented brief explanations of the work to which the C.W.L. 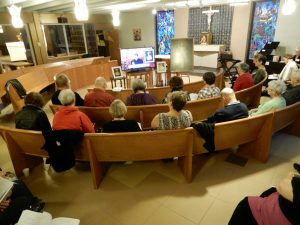 throughout Canada is faithfully committed. 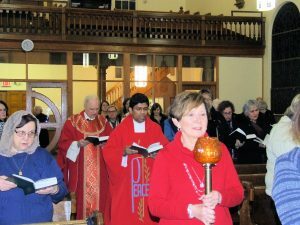 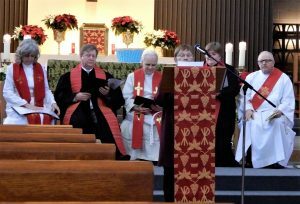 Our annual ‘Christian Churches of the Neighbourhood Ecumenical Prayer Service’ was held on January 20th at 3:00 pm. 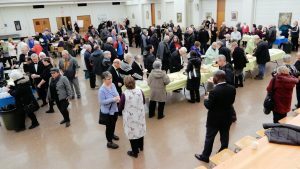 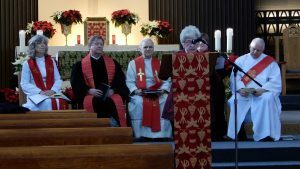 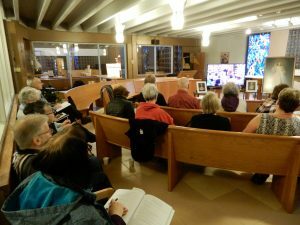 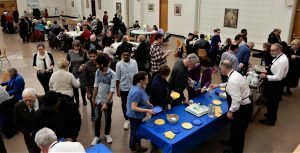 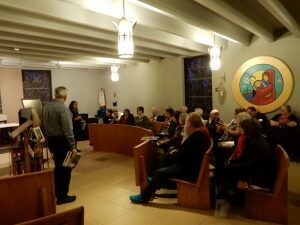 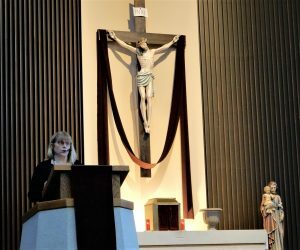 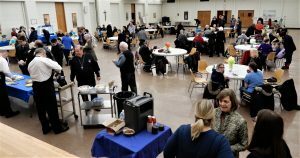 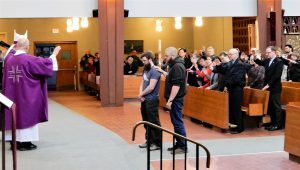 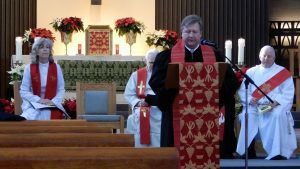 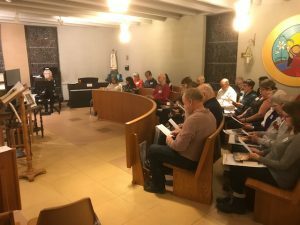 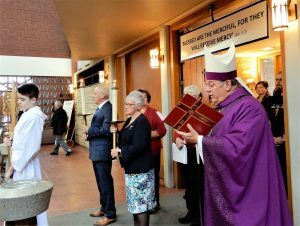 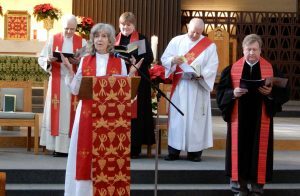 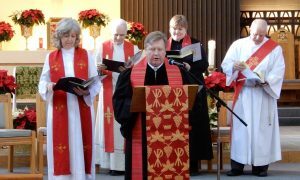 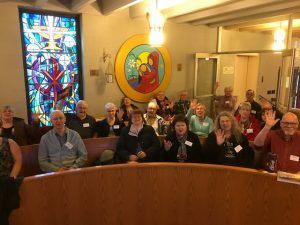 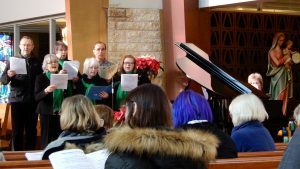 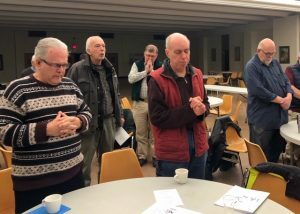 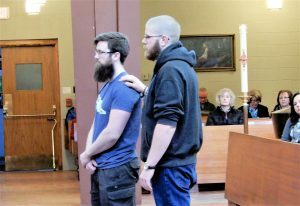 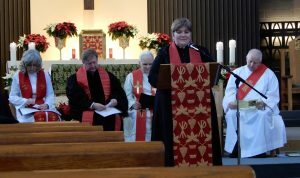 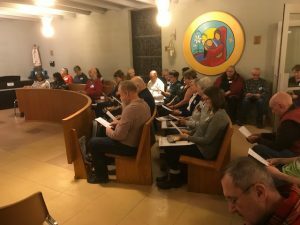 The parishioners and clergy of First-Wesley United, St. Andrew’s Presbyterian & St. Paul’s Anglican Churches, Bishop Colli and parishioners from other City parishes gathered with us in the Cathedral this year to pray for Christian Unity. 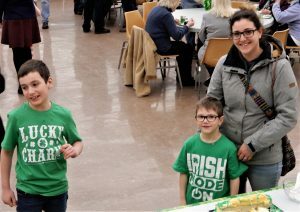 Our photos were taken by Juliano Brusadin. 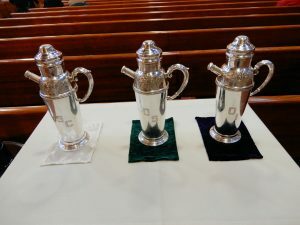 The C.W.L. 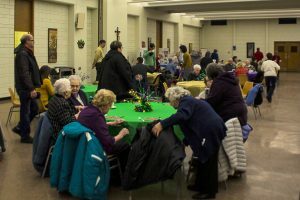 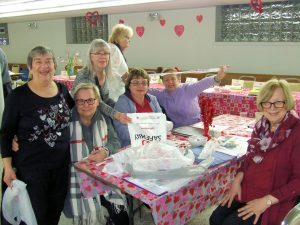 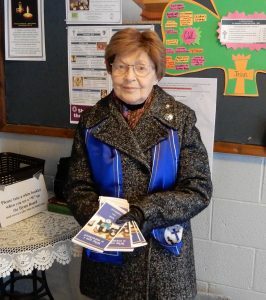 of our Parish would like to thank all those who participated in our Warmth and Comfort Project. 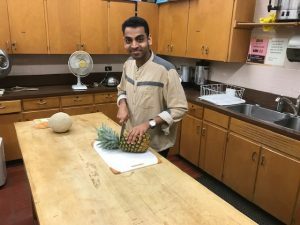 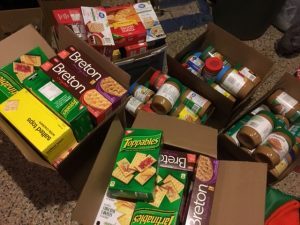 Your generosity will be most appreciated by the clients of Grace Place. 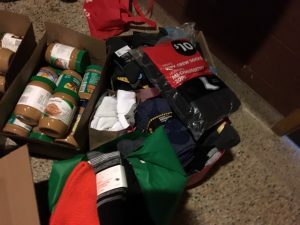 We collected 65 boxes of crackers; 60 jars of peanut butter; 140 pairs of socks, 10 scarves and 10 hats. 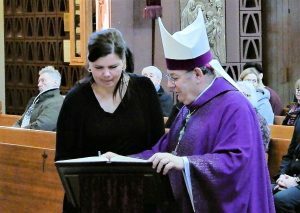 The names of all who were baptized this past year in the Cathedral were read aloud. 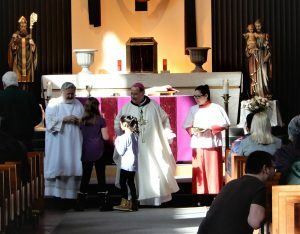 We prayed for them and their parents and godparents and all renewed their Baptismal Vows together. 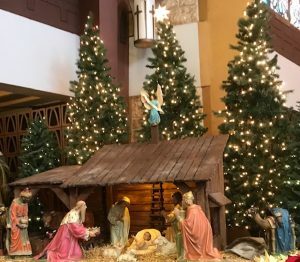 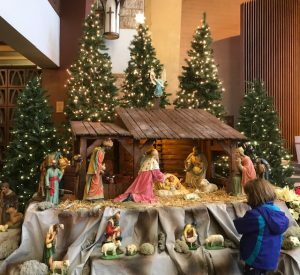 Like the wisemen of old, our parishioners came to worship the Lord, the King of Kings and the Lord of Lords during our weekend Masses.